It was during the race for technological and military supremacy on Earth (and in space) in the 1950s-60s that many cleanroom techniques were born and the US had a pivotal role in setting standards. Some 50 years on Susan Birks reviews the US sector of today. With more than 312 million people, the United States is the third largest country by population. Its economy is the largest national economy, with an estimated 2010 GDP of US$14.53 trillion1 – nearly as large as that of the whole of the EU. The country has a wealth of land and mineral resources and, as a product of large-scale immigration from many countries, it is one of the most ethnically diverse and multicultural nations. The country has long been an innovator and early adopter of new technology and has been better at commercialising and marketing innovations than other nations. It has always spent heavily on r&d; Battelle Magazine’s 2011 Global R&D Forecast predicted US r&d would reach $405.3bn in 2011 – one of the largest r&d spends of any nation.2 However, globalisation is narrowing the r&d gap between countries, with China now the second-highest r&d funder and Japan in third place. That large budget is reflected in the number of excellent research centres and universities located throughout the country. Many of these institutions have facilities that other countries could only dream of, attracting many of the best scientists and researchers from around the world. While other countries have seen academic institutions’ budgets cut by the global economic slowdown, the US is still managing to make relatively large investments. For example, Skanska USA, one of the leading development and construction companies in the country, has just been awarded a $373m contract by the City University of New York to complete the final phase of its Advanced Science Research Campus at City College in Manhattan. The project includes the interior fit-out of approximately 37,000m2, comprising a four-storey City College of New York Building and a five-storey Advanced Science and Research Center Building. The contract includes imaging facilities, a cleanroom lab suite, a vivarium, a lab and administration areas. 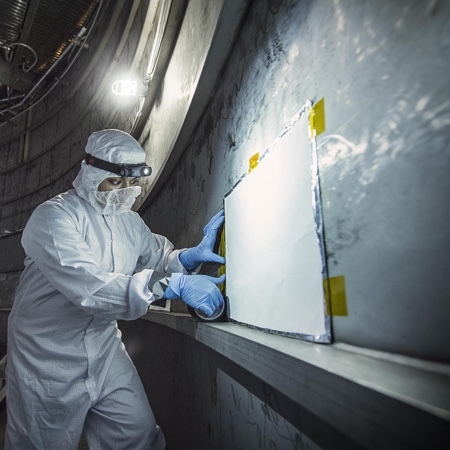 The US’s early pioneering work in nuclear technology and space travel led to the establishment of one of the earliest cleanroom industries. 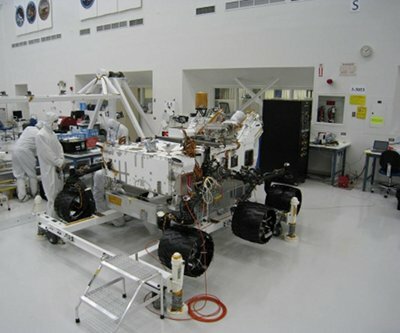 Many of the key pharma HVAC control parameters have their origins in the 1960s cleanroom technology developed for the electronics industry and much of the evolution of cleanrooms was a result of NASA’s space travel programme. It was from this period that the now familiar term “laminar flow” was introduced, as well as the specification of “0.46m/s velocity” and the requirement for “20 air changes/hour”. These concepts were later written into cleanroom guidelines such as Federal Standard 209 on “Clean Room and Work Station Requirements, Controlled Environments” published in 1963 in the US, now updated in 209E and harmonised with BS EN ISO 14644-1. 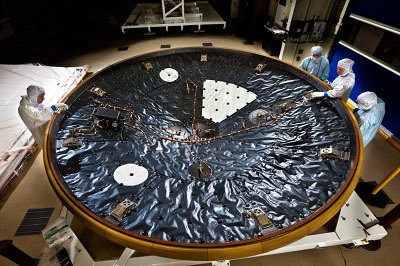 Although cut down in size, NASA’s space work continues and the MAVEN spacecraft will launch in 2013 to explore the Martian upper atmosphere. In mid-October Lockheed Martin (Littleton, Colorado), finished building the primary structure of the spacecraft at its Space Systems Company facility near Denver. 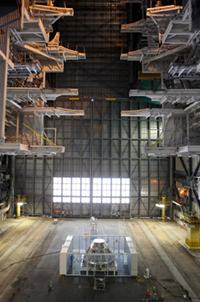 The structure is to be moved to Lockheed Martin’s Structures Test Lab to undergo static load testing, after which it will be moved to a cleanroom to start propulsion subsystem integration. 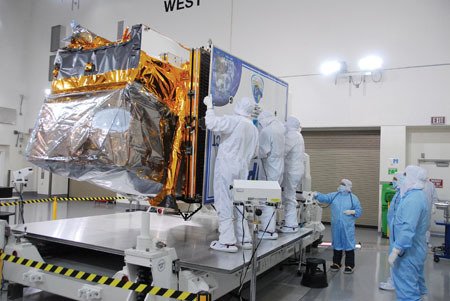 Satellite technology is just one of the spin-offs of the space race and NASA is planning the launch of a new Earth-observing satellite to measure both global climate changes and key weather variables. 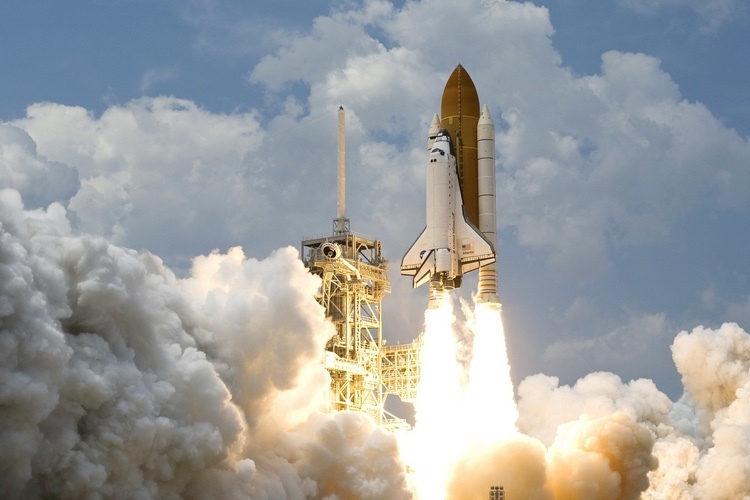 Many suppliers have evolved out of the space programme and continue to service the cleanroom sector. 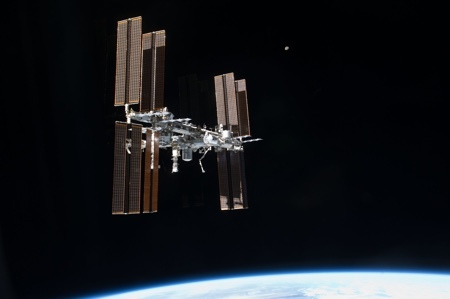 For example, Astro Pak, a provider of contract precision cleaning and passivation services established in the space race in 1959, now serves sectors as diverse as defence, laser, medical device, biotech, pharmaceutical, food, semi-conductor, and power generation. 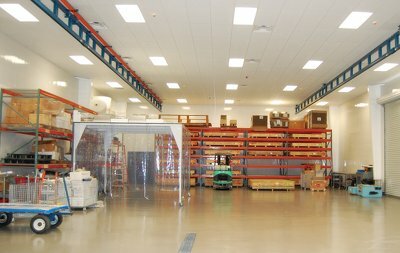 The company has just opened a remodelled Class 1000 (ISO 14644-1 Class 6) cleanroom in Virginia for processing components that range from simple Oxygen Service to the aerospace specifications IEST Level 100A. The Global 450 Consortium (G450C), a group comprising semiconductor heavy-weights Intel, Taiwan Semiconductor Manufacturing, IBM, GlobalFoundries and Samsung, led by the US College of Nanoscale Science and Engineering (CNSE), is to invest $4.4bn in a New York-based chip r&d hub. The five companies are expected to contribute at least $75m apiece into the project over the next five years and will target upstate New York, already a major centre of chip r&d activity tied to IBM and Globalfoundries. The latter company – Advanced Micro Devices’ erstwhile chipmaking arm, now owned by Abu Dhabi-based ATIC – is currently building a giant manufacturing complex to make 28-nanometre (nm) chips in the town of Malta, NY. IBM has had production and r&d facilities in the region for some years. The Global 450 project is expected to create 2,500 research jobs and will focus on developing technology that will enable chip manufacturers to produce computer chips on 450mm or 18-inch wafers – the next generation of computer chips that will replace the current 300mm wafers. The signature piece of this multi-billion dollar project is a $300m research centre at the CNSE’s site at the University in Albany. The project, being built by M+W US, will include a 50,000ft2 cleanroom and will house some 800 new employees. The building should be ready to install its first equipment by July 2012 and final construction is expected to be completed sometime in 2013. In the sphere of nanotechnology Semiconductor Research Corporation (SRC), a university research consortium for semiconductors and related technologies, has joined with the National Science Foundation (NSF) to fund $20m for 12 four-year grants on nanoelectronics research. These 12 interdisciplinary research teams at 24 participating US universities will contribute to the goal of discovering a new switching mechanism using nanoelectronic innovations as a replacement for today’s transistor – the building block of computing technology that has driven not only the semiconductor industry, but also the country’s IT-driven economy for decades. The US healthcare system has long been pioneering and technology led but has largely been enjoyed only by those that could afford the health insurance. 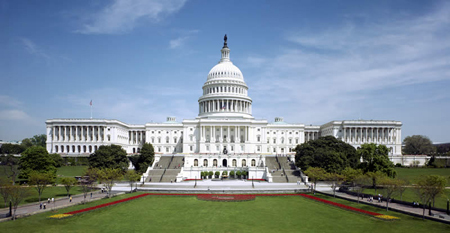 To address this, healthcare reform, approved in March 2010, is being introduced, although its set-up is complicated by political wrangling and could be affected by forthcoming elections. The Medical Device Market report published by Espicom in June 20115 puts the US medical device market at an estimated $105.8bn in 2011, making it the world’s largest. Per capita expenditure, at $339, is the third highest in the world. The country is home to many of the world’s leading medical device manufacturers, such as Johnson & Johnson, General Electric, Baxter, Covidien and Medtronic. Seven out of the world’s top 10 device manufacturers are US companies, although much of the manufacturing is being outsourced to cheaper locations outside the US. 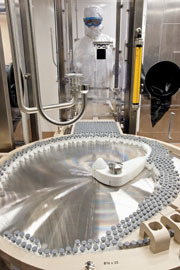 Also home to many major pharmaceutical establishments, Espicom predicts that the US pharma market will grow by a moderate Compound Annual Growth Rate (CAGR) between 2011 and 2016.6 Patent expirations and cost containment measures should mean that the CAGR in the branded prescription sector is a little lower. The effect of recent legislation on the healthcare sector is difficult to measure. Pharmaceutical companies face a number of costs initially, depressing sales growth. However, pharmaceutical sales are expected to be boosted in the long-term as at least an additional 32 million Americans, equal to about a tenth of the population, should receive insurance from 2014 onwards. Biologics companies will gain with the new 12-year data exclusivity provided by the new healthcare regulation. The US has not been particularly fast in its adoption of low carbon technologies, partly as a result of its sizeable and influential oil industries, which have lobbied against climate change legislation. However, the country is not slow to see the commercial benefits of selling these new technologies. GE, for example, has announced plans to build its new solar panel factory in Aurora, Colorado. When completed, the advanced manufacturing facility will be larger than any existing solar panel factory in the country today. 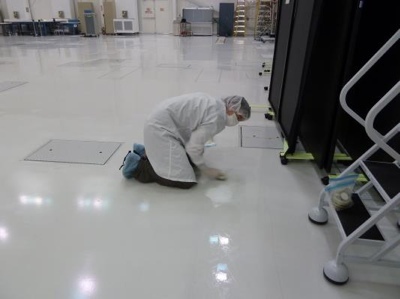 GE expects the new, highly automated cleanroom will start up earlier than predicted, with the first panels coming off the line in 2012 and commercial availability in 2013. Despite its development of advanced technology and science, the US industry has also had more than its share of health and food scares. This, along with the country’s legal readiness to sue businesses, has resulted in some of the most stringent regulations for medicines and foods. Today, its standards administered by the Food and Drug Administration are recognised internationally. As a result, the country has a large sector supplying consumables to meet contamination control, hygiene and safety regulations. In terms of representative societies, the Institute of Environmental Sciences and Technology (IEST), founded in 1953, is a multidisciplinary society that evolved out of contamination control in electronics manufacturing and pharmaceutical processes (www.iest.org). It addresses issues connected with contamination control and co-ordinates many international working groups involved in updating and harmonising international standards. It has also produced a series of Recommended Practices (RPs) standardising procedures.